German dairy Milchwerke Oberfranken West eG installed a new 360,000-litre tank to boost production of its cheese making milk. Using the Alfa Laval ALS Agitator proved to be a very cost-efficient strategy. The dairy planned to increase its cheese production. After three months of testing, the results were so convincing that the company decided to retrofit 11 conventional propeller agitators with 11-15 kw of power with Alfa Laval ALS agitators with EnSaFoil propellers. Milchwerke Oberfranken West eG is one of the leading international producers of fine cheese specialties. Located in Germany’s Coburg District, the company produces approximately 37,500 tons of a broad assortment of quality soft, hard or processed cheese preserved solely with table salt. To increase production of its natural cheese products produced by using microbiological rennet for fermentation of raw milk, the dairy installed a new 360,000-litre tank. Intrigued by the prospect of cost savings offered by a more energy-efficient agitator, the dairy decided to follow the recommendations of longtime business supplier and an Alfa Laval channel partner, Euroflow. To test the agitator for energy efficiency, hygiene and food safety, Milchwerke Oberfranken West installed the Alfa Laval ALS Agitator that uses only 4 kW of installed power instead of installing a conventional tank agitator with 18 kW of installed power. After the three-month trial period for the Alfa Laval ALS Agitator, the Milchwerke Oberfranken West ordered 11 new energy-efficient agitators to replace the conventional tank agitators being used. The Alfa Laval ALS agitators feature specially designed rotor blades that require less energy input than conventional agitators. Reductions of up to 80% in energy consumption can be realized, which promotes environmental protection and provides substantial greenhouse gas emissions reductions. “The innovative propeller design yields an unusually high pumping capacity but at the same time uses far less energy than conventional agitators,” says Marcus Schmid, owner of Euroflow. “Moreover, the agitator blades displace the milk with very low shear stress, which may otherwise negatively affect the fat globule membranes at higher levels of shear stress.” Another plus: Alfa Laval agitators can be customized to the exact needs of the plant and installed from the top, bottom or side, as is the case for Milchwerke Oberfranken. Stuerzl says that the success of the agitator retrofit project has reinforced Milchwerke Oberfranken West’s decision to carry out further energy-saving projects in the dairy. “I believe that the flow behaviour and the gentle handling of the milk by the Alfa Laval ALS Agitator has had a positive effect on the product,” he confides. “But, surely, one must also put some heart and idealism into the manufacture of products and pay attention to the entire process. I think there is still a lot of potential in technical system innovations and dairy managers should not turn a blind eye to this.” He points to retrofitting large dairy pumps with more energy efficient pumps as holding potential for energy savings as well. In some cases, the electrical rating of dairy pumps and motors can be reduced from 15 kW to 11 kW given the same hydraulic power. “Product quality and technical innovations in a dairy operation are not mutually exclusive but rather complement each other,” he says, “There is no progress without innovations”. The propeller disc design of the Alfa Laval ALS Agitator provides maximum pumping action with the least possible energy expenditure. 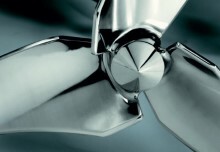 Alfa Laval ALS Agitator with specially designed rotor blades use up to 80% less energy than conventional agitators. The agitator blades displace the milk with very low shear stress. Alfa Laval agitators can be customized to the exact needs of the plant and installed from the top, bottom or side. National and international cheese specialist, Milchwerke Oberfranken West is one of the leading cheese dairies in Europe. Its modern structures, warehouse capacities and generously sized manufacturing plants enable the company to react quickly and flexibly to customer requirements. 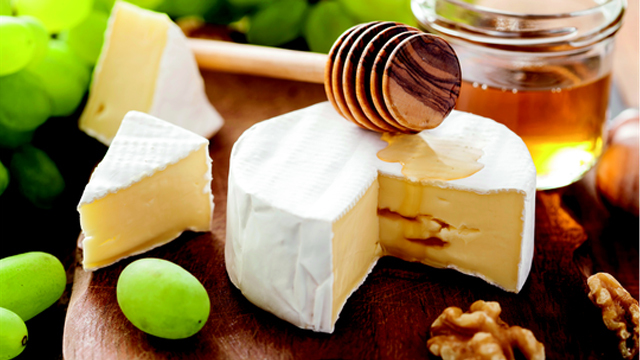 Two of the company’s well-known cheese brands include Coburger and Silberdistel. Euroflow supports tank makers, system builders and end customers in the selection and design of required components for viscous products and CIP. A long-term authorized channel partner for Alfa Laval, Euroflow is part of the Alfa Laval network of channel partners in the field of hygienic components for the dairy, beverage, foodstuff and pharmaceutical industries with its main focus on pumps, heat exchangers, tank equipment and valves. cabling, and tools, instrumentation and control.